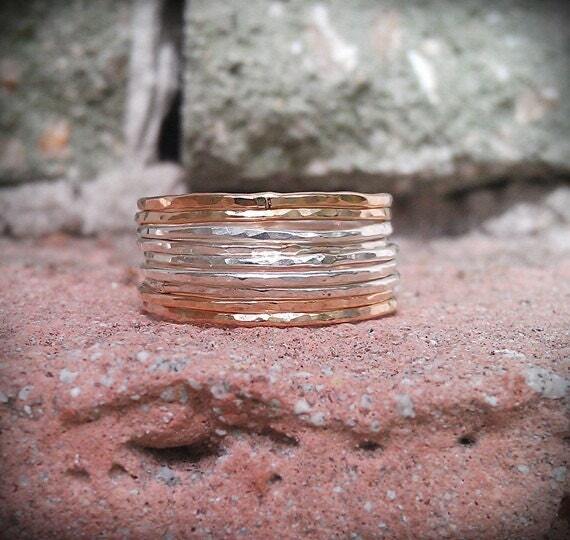 These lovely, delicate rings are hand forged and hammered using 14K gold filled and sterling silver wire (20 gauge). 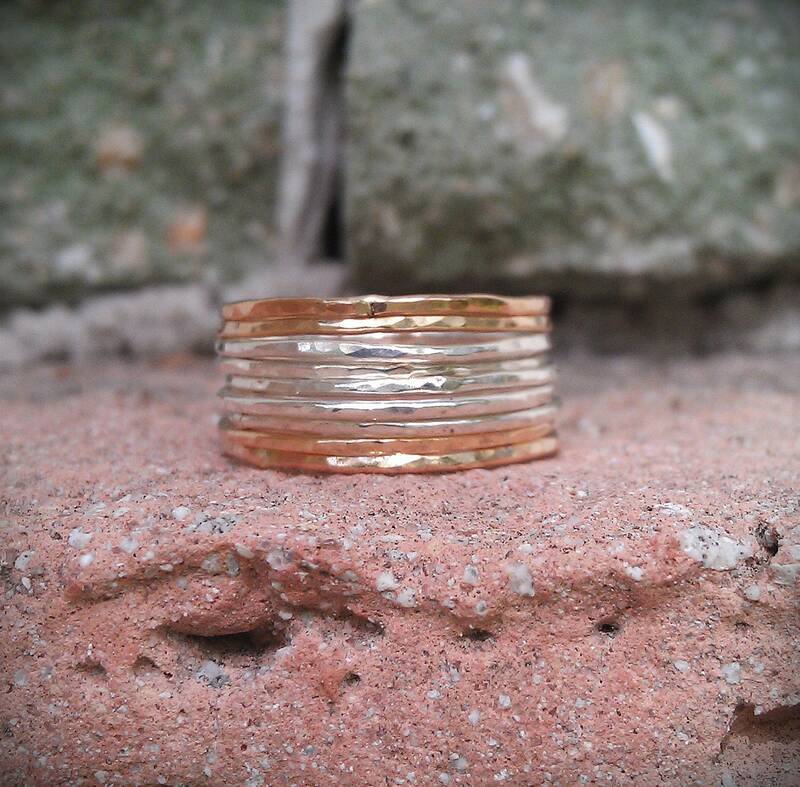 Each ring is unique and has nice organic texture. Light and comfortable, they go great with any style and are made with great care to ensure years of wear!! This listing is for 9 rings. 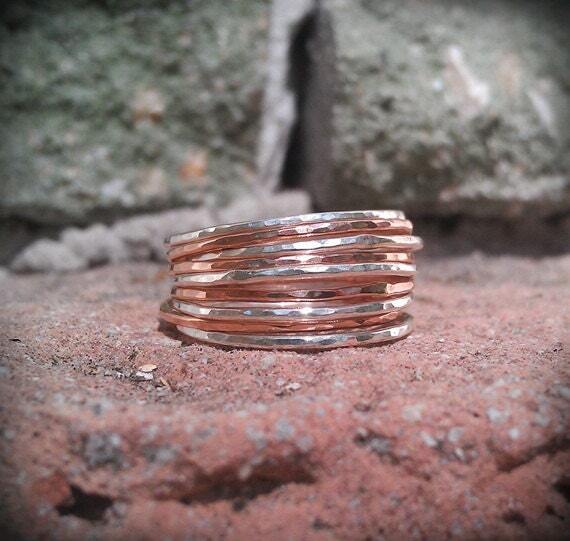 You will receive 5 sterling silver rings and 4 gold filled rings, unless otherwise specified. 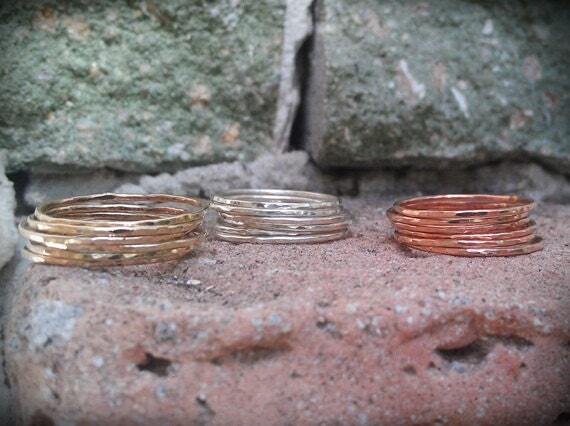 Feel free to convo me if you would prefer a different combination of the metals.